Mahalo for your Participation in the first International MoonBase Summit (IMS). The International MoonBase Summit (IMS) convened a team of leading scientists, educators and entrepreneurs, from space agencies and industries worldwide, to advance the development and implementation of an international base on the Moon. The goal of the International MoonBase Summit was to create an action plan culminating with the building of MoonBase prototypes on Earth, followed by a sustainable settlement on the Moon. IMS delegates focused on identifying essential resources and technological capabilities required to enable and sustain lunar-based operations. Through the promotion of international collaborations and public-private partnerships we are reducing costs, enhance benefits and accelerate timetables for lunar settlements. IMS built upon previously held discussions and recommendations from the Lunar Exploration and Analysis Group (LEAG), the European Lunar Symposium, the International Space Development Conference, the NewSpace Symposium, the International Astronautical Congress (IAC), and other space forums worldwide, to formulate an integrated strategy for establishing the proposed multinational lunar base. We are also demonstrating why Hawaii is one of the best places on Earth to develop a prototype Moon Base. 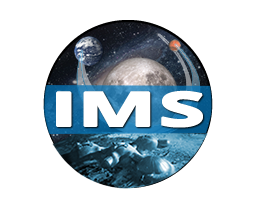 IMS is concluding with the formation of an International MoonBase Alliance (IMA), comprised of representatives from our Summit working groups. IMA will continue to pursue the resources and milestones identified during the Summit, as well as oversee and facilitate the design and development of a prototype lunar base in Hawaii to both enable and support international operations on the Moon. Humankind will become a multi-planetary species. The International MoonBase Alliance is the vanguard of the next great wave of human migration. We must go with humility, respect and aloha. Only with this spirit, will we voyage to and settle on the Moon, Mars and beyond. The mission of the International MoonBase Alliance is to unite Space Agencies, Space Companies and Humankind to build sustainable settlements on the Moon, Mars and beyond. 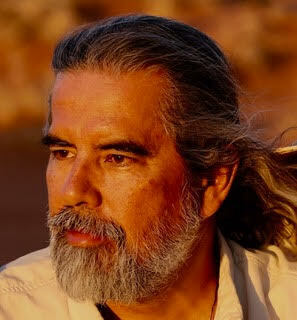 Henk Rogers is a Dutch born, Computer Game Designer / Entrepreneur. He is best known for transforming the tech sector in Hawaii. A near death experience enabled Henk to rethink the rest of his life. He is now focused on trying to end the use of carbon based fuel and making a backup of life on Earth. To this end he founded and Chairs the Blue Planet Foundation, dedicated to ending the use of carbon based fuel. He has also taken the position of Chairman of PISCES (the Pacific International Space Center for Exploration Systems) to move mankind towards becoming a multi-planetary species and is the Chairman of the International MoonBase Summit (IMS). Historical thinking has been to find a lava tube on the moon and inflate a structure within it. The complexity involved with finding, exploring and operating in lunar lava tubes combined with the low probability that suitable lava tubes would be found near desirable locations calls for a new way of thinking. The advent of new technologies means we have an opportunity to come up with a new approach. A Moon Base could be excavated and built near a prime location, for example, near the a source of ice / water. New building techniques using 3D Printed / Sintered Regolith and Artificially Intelligent Robots could be employed to build a new kind of structure using an innovative new construction technique. Dan Bland, CEO (Ret), JAMSS America, Inc.